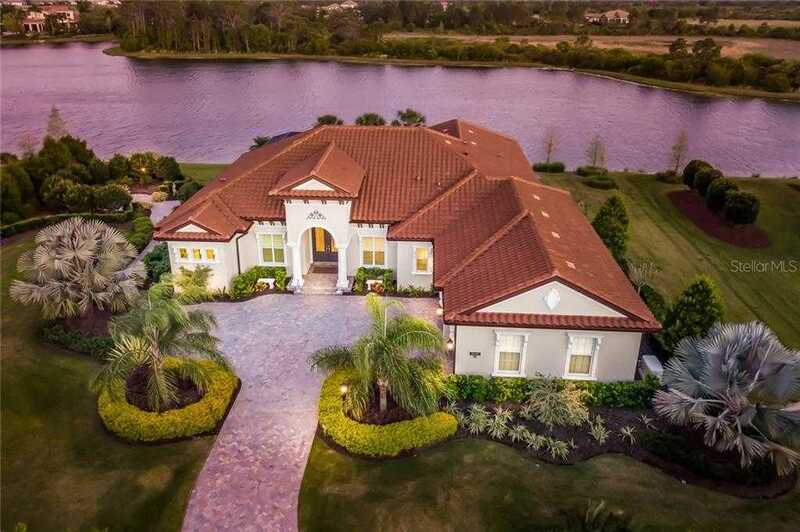 A place of grace and refinement, this Mediterranean inspired Lee Wetherington custom-built home positions itself on one of the most spectacular lakefront lots within The Concession, home to one of Florida 8217;s top private golf courses. Meticulous design & the finest finishes are evident throughout with soaring ceilings, engineered wood and porcelain tile flooring, crown molding and so much more. Upon entering the foyer with custom ceiling detail, you 8217;re immediately greeted by an elegant great room and panoramic water views. The generous open floor plan combines the living area, kitchen and dining room into one gracious space. The expansive kitchen is a chef’s dream and offers unparalleled views to the outdoor living area and surrounding lake. The master suite is its own wing of relaxation with spectacular views, spacious walk-in closets, designer Roman shower, luxurious soaking tub & more. There is plenty of room & privacy for guests with 2 en-suite bedrooms. Don 8217;t miss the spacious office & make the additional bonus room your own with corner sliding doors to the back lanai. The outdoors beckon you to an extended lanai and the sparkling heated saltwater pool and spa. Prepare your meals alfresco in the outdoor kitchen while enjoying mother nature 8217;s display of abundant wildlife. Surrounded by lushly landscaped grounds with a private garden & fountain retreat area. The Concession exudes Florida charm while being close to top-rated schools, UTC Mall, dining & more. This lovely residence is an absolute must-see! Restrictions: Abide by Manatee County pet and lease laws. Please, send me more information on this property: MLS# A4432094 – $1,449,900 – 19432 Newlane Pl, Bradenton, FL 34202. I would like to schedule a showing appointment for this property: MLS# A4432094 – $1,449,900 – 19432 Newlane Pl, Bradenton, FL 34202.